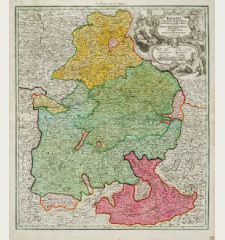 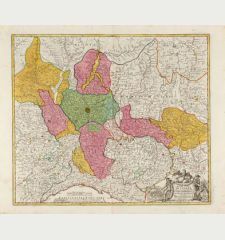 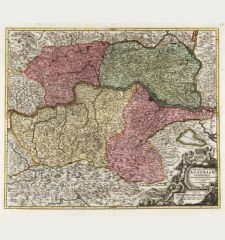 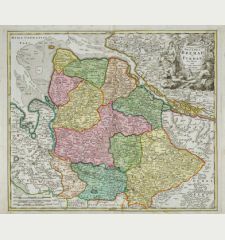 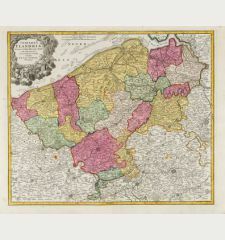 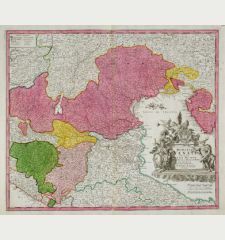 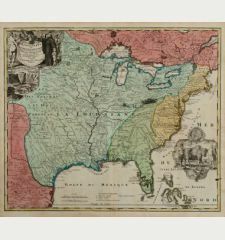 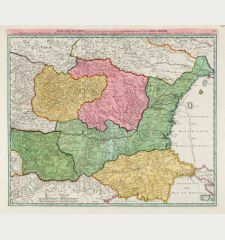 Old coloured title page of Johann Baptist Homann's atlas Atlas novus terrarum orbis imperia regna et status exactis tabulis geographice demonstrans published around 1720 in Nuremberg. 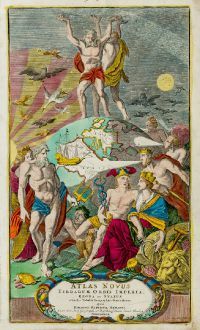 Shows the globe with Europe and parts of Africa. Surrounded by figures of Greek mythology. 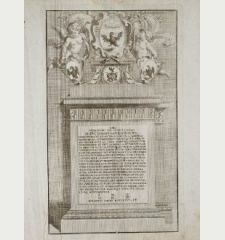 Engraved by Caspar Luycken (also known as Luiken). 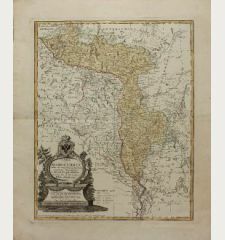 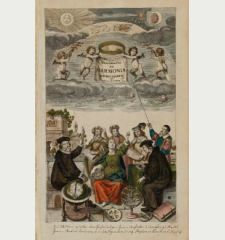 Johann Baptist Homann: Atlas novus terrarum orbis imperia regna et status exactis tabulis geographice demonstrans.